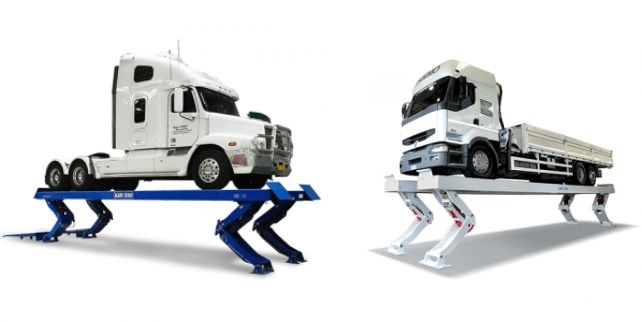 If you need to lift large vehicles like B-doubles or articulated buses, a knuckle truck lift is the ideal choice. Use independently up to 35t or synchronise up to three units to lift up to 105t. Knuckle Lifts provide you with the flexibility you need to take on any job, regardless of vehicle size.